Fotowall is a simple and easy to use photo collection manager, and the most important thing is that – “There is lot of room for your creativity”. It is a free software and it’s available for all major platforms. There are lot of open source photo managers are available but Fotowall is great, probably due to its simplicity and ease of use. 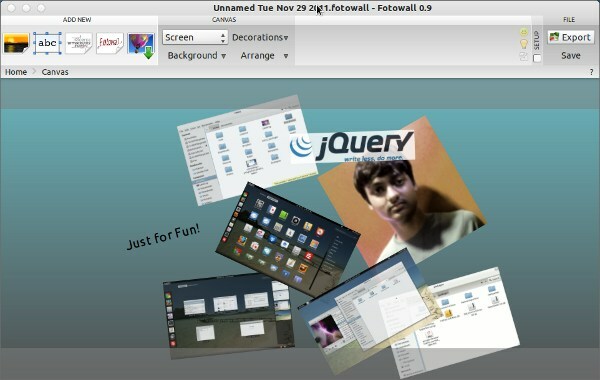 Although Ubuntu 11.10 (Oneiric Ocelot) has a nice Photo Manager application – shotwell Photo Manager, installed by default but Fotowall is worth trying, specially if you want to do some creative experiment with your cool collection of photos.